High-profile marketers, from Procter & Gamble’s Marc Pritchard to Unilever’s Keith Weed, have publicly lambasted the lack of transparency, trustworthiness and efficiency in digital marketing. The transparency issue reached a head in January 2017 with Pritchard’s speech to the US IAB Annual Leadership meeting, during which he issued a call-to-action: "We need better advertising to drive growth enabled by media transparency to drive a clean and productive media supply chain." As marketing leaders become more vocal about their demand for greater openness and a more effective return on their investment, we ask what the industry can do to meet these CMOs’ wishes. According to Amir Malik, head of digital marketing, Accenture Interactive UKI, the media industry is already on its way to delivering on the wish for transparency: "Many of our clients have told us they have lost trust in the current media-buying system and have serious concerns about the adversarial, non-transparent and antiquated practices of their media agencies. They’ve lost control of their own data and technology and don’t know how reclaim it. "There is recognition that the old way of working is unacceptable, so reclaiming control of media spend and achieving greater data transparency in media spend is something we should all be striving for." He also refers to blockchain technology as an "in-the-pipeline" answer to drive greater transparency for media buying. Zaid Al-Qassab, chief brand and marketing officer at BT Group, is not so unequivocal, but does want to help improve things: "This is a young industry learning its way. Rather than criticising the past, let’s focus on putting things in place for the future. And rather than shooting for perfection and taking years to get there, let’s move fast to try things and adjust as we go. As a CMO, my biggest ask is a willingness to be open and put in place the metrics that help us to make informed business decisions." Joy Bhattacharya, managing director, Accenture Interactive UK and Ireland, points to the way his team is delivering on the demand for greater proven ROI by doing more deals that involve some kind of profit-share arrangement: "The overarching wish of most CMOs is that their partners are genuinely aligned to the same outcomes as them; that their definition of ROI is the same as their agency’s. Partners committing to outcomes, rather than output, is going to be key to success." Al-Qassab thinks this may be an unrealistic expectation. "It’s naive to believe that agencies will ever be fully aligned to exactly the same measures and goals as clients. They are different organisations with different people. They simply wouldn’t attract the talent they need if they became single-mindedly focused on exactly the same things as their clients. "Creatives want to win awards, and that’s great – award-winning advertising drives business results. Of course, I expect our agency management and account directors to care deeply about delivering the business results – they know they’ll lose our account if they don’t deliver. But I’m unconvinced by the evidence that remunerating them that way has the desired results." This kind of arrangement is much more difficult to pull off if you have a fragmented agency landscape, Bhattacharya points out. "Consequently," he says, "we’ll start to see CMOs consolidating their media investment into a single partner, or group of partners, who are genuinely committed to working in a way that shares the risk and reward." Direct Line’s marketing director, Mark Evans, is already adopting this shared-risk approach. He agrees that "too much has been tolerated for too long" in terms of the digital marketing industry not being transparent, trustworthy or efficient enough. But he also believes that, to get the best out of an agency partner, CMOs need to work hard at the relationship, cultivating a sense of camaraderie and focusing on identifying "the right incentivisation" for agencies. "With our agency, there is a healthy win-win associated with strong performance – it’s not about efficiency but effectiveness," he says. "We believe we are ‘in this together’ and that eradicates a lot of the trust issues associated with other parts of the value chain." Direct Line, like many other forwardthinking companies, is evaluating marketing spend in terms of the broader context of how it aids the growth of the brand. This is a trend set to continue, Malik argues, adding that the problem with current evaluation approaches is that often it’s a case of "marking your own homework", which, inevitably, can erode trust. "A more workable alternative is to have a third party look at your metrics and report on them through a singular view," he says. Accenture Interactive is seeing a growing number of clients being "much more inquisitive" about better ways to evaluate whole-campaign performance and deliver improved ROI. 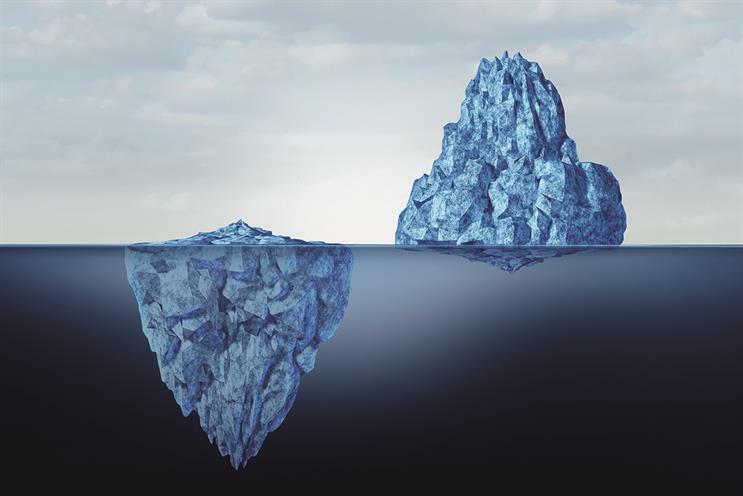 The insight to be gained from a more comprehensive data strategy holds the key to finding experience and outcome improvements. 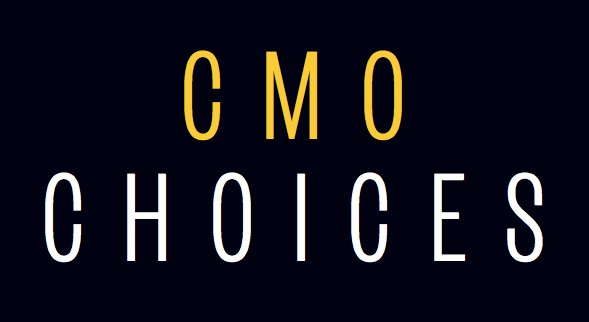 "CMOs are definitely picking up on the urgency. There is a huge shift in how media is transacted and how data fuels your media strategy. When you’re the one responsible for outcomes, you need to own the computation of decision-making; you need to decide what to put in front of customers and when," says Malik, citing O2 and Maserati as two brands at the cutting-edge of this shift. Jon Wilkins, chairman of Karmarama, agrees that the most effective creative work comes when a client has "used data as planning fuel" for campaigns, as the Army and Unibet have done. "They’ve been so lauded in the digital world because they’ve used data to drive creative processes, rather than just better media placement," he says. But, as an agency man, he implores CMOs to be mindful that if they just "squeeze the pips out of an agency" they won’t get the most effective work. "Clients have been telling agencies to achieve more and more unrealistic, price-driven goals, but, at the same time, deliver amazing effectiveness," he says. "That is quite incongruous. So is the implication that it’s the agency’s job to set aligned goals – it’s not. It’s the client’s job, and it’s a massively complex task to find a fair metric for success for both the marketing function and the agency function." It doesn’t look as if this is going to get easier any time soon. The World Economic Forum says that we are only at the beginning of what it calls the "Fourth Industrial Revolution", an age in which digital transforms, not just business, but life as we know it. And, as we well know, digital is fuelling the delivery of more tailored and personalised experiences to an ever-more fragmented audience. So, it is inevitable that the marketing industry will continue to evolve and adapt. Rishad Tobaccowala, chief growth officer at Publicis, told The Economist earlier this year: "Everybody says that we’re dinosaurs but we’re not. We’re cockroaches. We know how to scurry around, we hide out in the corner, we figure out where the food is, we reconstitute ourselves." Al-Qassab has a warning for agencies: "On BT, EE and Plusnet, we are satisfied that our digital spend is effective," he says. "But we’ve had to put a lot of extra safeguards and measures in place. I’m frustrated that some digital partners think they know better than us what drives our business." He adds: "I’d like to see them fully sharing the performance measures and allowing full independent verification. I’d also like far more flexibility in terms of what we can buy. For a channel that has the potential for infinite flexibility, it’s disappointing to see so few options."